So, you want to invest your cash but you’re not sure how to make a success of it. Investing is never easy, and you can’t make a success of it without taking risks. But there are some top tips that will make you more likely to make money. Read on to find out more. Succeeding with your investments is all about making sure that you know what you’re doing. Far too many people jump up in head first and don’t bother to take the time to learn the trade. You have to get the basics right and understand what it takes to become a successful investor. It takes a little time to learn these things, but it’s a strategy that will pay off for you in the long-term. 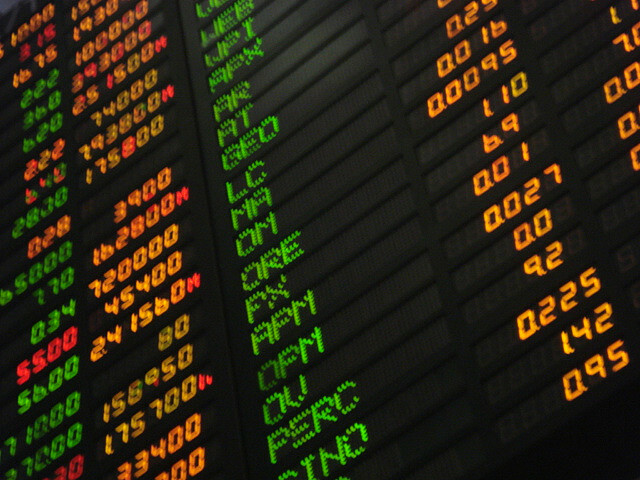 You could talk to people who have plenty of experience of trading stocks and shares. And if you’re looking to invest in assets, study the price and see how realistic your chances of making money will be. Knowledge is vital. If you can’t control your own emotions, you won’t make a great investor. One of the biggest reasons that people fail is down to making decisions with their hearts rather than their heads. You have to stay rational if you want to do well. People often panic easily when they are looking after their investments, and this can lead to losing out on potential returns. Instead of doing this, looking at the cold hard facts and weigh up your various options before reaching a final decision. It’s the only sensible way to invest your cash. If your emotions get in the way, you will end up failing. Leverage is when you use borrowed money to invest your money. This is a very risky strategy, and it is a practice best avoided by anyone looking to make money for their future. You will only be able to get a percentage of the returns that your investment provides if you do this too. It’s much more sensible to use your own money. It helps to make sure that you don’t get into debt, and it also keeps things simple and uncomplicated. The last thing you want when you’re starting out in investing is to get involved in this kind of thing. It can be a useful too, but it’s best left to more experienced investors. Everyone has different limits when it comes to the size of the risk that they’re willing to take. This is something you will need to think about before you invest your cash. If you are prepared to risk more, the rewards can be bigger. But have you got the steely nerves required to hold steady when things get rocky. This is what you need when you are taking on a risky investment. If you are not so happy to take risks, there are different low-risk options out there. Asset investments are pretty good for people who don’t want to take on the inherently risky nature of the stock markets. There are lots of weird and wonderful forms of investment that are great for people who are looking for something a little different. You don’t need to stick to the stock market if you’re looking to multiply your cash. Investing in sporting memorabilia, antiques, art or old comic books can be a lot more fun. And all of those things offer potentially huge returns if you know where to look for those kinds of items. Gold coins and bullion is another type of investment that is a little out of the ordinary. It makes a great long-term investment. You just sit back and watch the price steadily rise. Visit atkinsonsbullion.com to find out more about this option. If you’re looking to put your money in an investment fund, there are a few tricks that you can use. For example, you should always pick the low-cost funds. Just because a fund charges more, that doesn’t mean that you get a better deal from them. This is what a lot of people assume, but it’s completely false. In fact, the low-cost funds are better because the fee you pay is an expense ratio. And that means a percentage of the money that is made is used to pay for administrative expenses and other costs. But because this is a percentage, the better your investment does, the more money is taken out. So, choose the one with lower percentage charges. Just because everyone is throwing their money behind one investment, that doesn’t mean you should too. It’s usually a lot of hot air and nonsense. Many investors suffer from a herd mentality. This means they simply go where everyone else goes. It is not necessarily a sign that there is money to be made on a certain investment. Most of these stocks tend to collapse before long, and then all the hype dies down. You should never make the mistake of jumping on the bandwagon without thinking about the reality of the investment. If it looks too good to be true, it probably is. Diversification is the name given to the process of spreading your investments. It basically means not putting all your eggs in one basket. This is one of the most basic principles of investing your cash. If you put all your money in one place, it could all go horribly wrong, and all your cash will be gone in a flash. Whereas if you spread your investments with a diversified portfolio, you can handle a loss here and there. That’s because losses will be covered by successful investments. When you start to realise that your investments are centralising in one place, try to turn around and diversify as quickly as possible. Now that you know how to multiply your cash, you can start to put these ideas into action.